Our experienced kitchen, bath, and home cabinetry specialists are personally available at every stage of a project-from the initial consultation through the design phase to the selection of products and our expert installation. Refresh your bath's look with a wow-worthy makeover that improves its style and function. Here at Granite Center Remodeling, we are known for providing a large variety of bathroom remodeling services that will fit any level of budget, without compromising the style and the personal preference of each client. We are authorized dealer and fabricator which means you get the best price! We pride ourselves with the amount of fine tile and natural stone in our showroom, and our low pricing means the best deal in town. 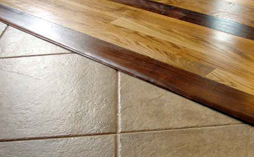 We also offer hardwood and laminate floors. We offer the best prices in the industry, pre-fabricated or custom built. Visit our large Pasadena showroom to see full samples. Our slab yards will provide you with hundreds of colors to choose from, and each slab will be custom fabricated to your specifications. Unlike other companies, we do not charge for custom designed shapes and offer 5 different edge designs at no cost. Visit our giant showroom in Pasadena! 3780 E. Foothill Blvd. Pasadena, Ca 91107 or contact us (626) 844-7000 to schedule an appointment with our sales specialists. 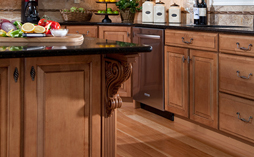 We are your number one source for nothing but the best in California granite kitchen countertops, cabinets, hardwood floors, carpets and outstanding remodeling services. We have been providing the best deals on our manufactured construction and renovation materials in Pasadena and Los Angeles for years. When it comes to quality and satisfying services, you can count on no one else. Granite Center specializes in the fabrication and installation of kitchen and bath remodeling necessities, from cabinets down to floor tiles. We offer nothing but the best material for your home such as custom made and prefab cabinets, travertine tiles for your bathroom, ceasar stone and quartz kitchen countertops – all at affordable wholesale prices. Our professional staff is reliable and efficient, making sure you’ll get the results you want at a price you wont regret. Browse through our site and contact us, if you have any questions. We look forward to working with you soon! 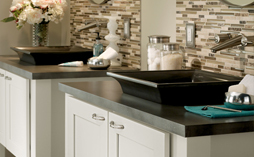 GC Kitchen & Bathroom Remodeling is a full service bathroom and kitchen designer and remodeling company located in Pasadena. visit our beautiful pasadena showroom 3780 E. Foothill Blvd. Pasadena, Ca 91107 or give us a call (626) 844-7000 to schedule an appointment. servicing pasadena bathroom remodeling projects, pasadena kitchen remodeling projects, monrovia remodeling projects, arcadia remodeling projects, san gabriel remodeling projects, san marino, la crescentia, la canada, los angeles, glendale remodeling projects and san fernando valley remodeling projects.